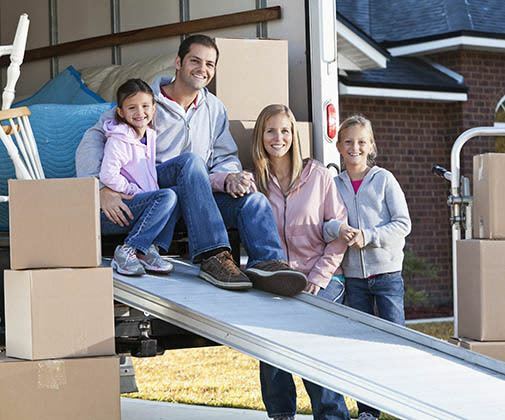 Preparation ranks highest among factors for a successful move. Artfully packed boxes, the reservation for a storage unit, and a moving truck rental count towards on-point move preparation. In order to save you time and energy, Kirkland Way Storage offers U-Haul moving truck rentals at our self storage facility in Kirkland, WA. We're your one stop shop for all of your packing and moving needs. Our friendly and knowledgeable staff is on-site to help you select the perfect size of moving truck for your specific needs. Based on what you have to move, we can predict how much space you will need to get all of your belongings transported to storage or your new home or office as efficiently as possible. Contact us today to schedule a U-Haul truck rental in Kirkland, WA, or for more information about U-Haul trucks. Keep the Ramp Clear – A wet ramp is more than just a nuisance, it’s dangerous. Before loading anything into the truck be sure that the ramp is dry and clear of debris. Load Heaviest Items First – Washers, dryers, refrigerators and heavy furniture should be loaded first and secured to the cab. Distribute weight evenly throughout the truck from side to side and front to back. Pack in Layers – Load heaviest boxes first, followed by medium weight and then the lightest boxes on top of each other to help prevent damage to your belongings.